A top seller! 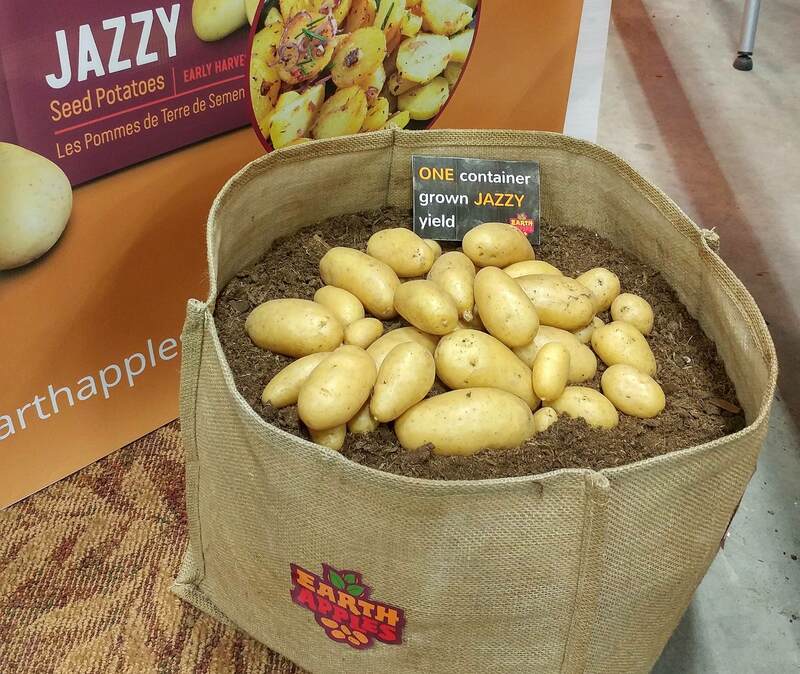 Jazzy is an early harvest gourmet variety with excellent taste and texture. 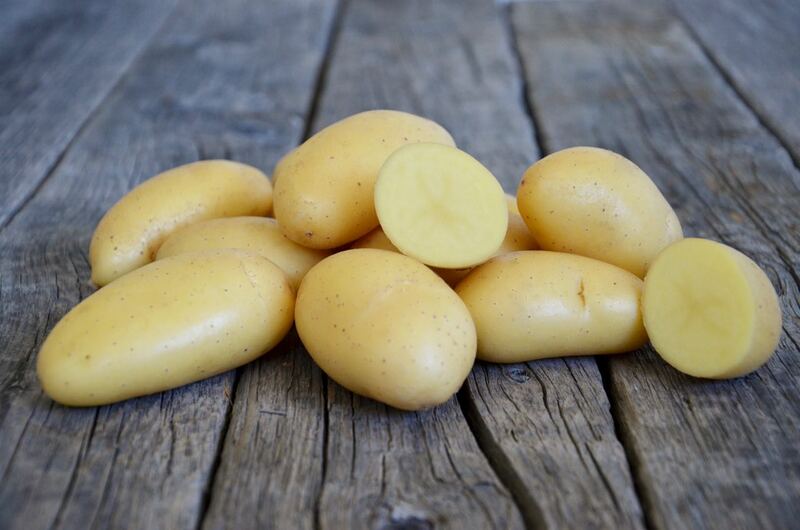 Jazzy produces high numbers of smaller baby potatoes and medium sized bright, smooth-skinned tubers. Its thin skin makes prep work a breeze. No peeling required! Jazzy is an early maturing variety. 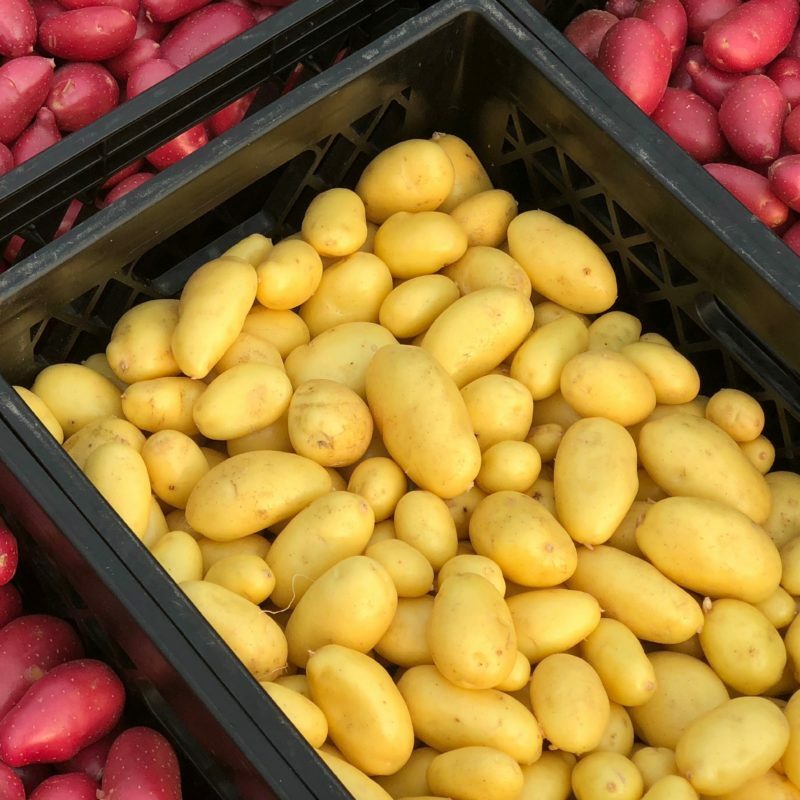 Plant this variety around mid-May for an early-mid August harvest. 65-75 days till maturity. 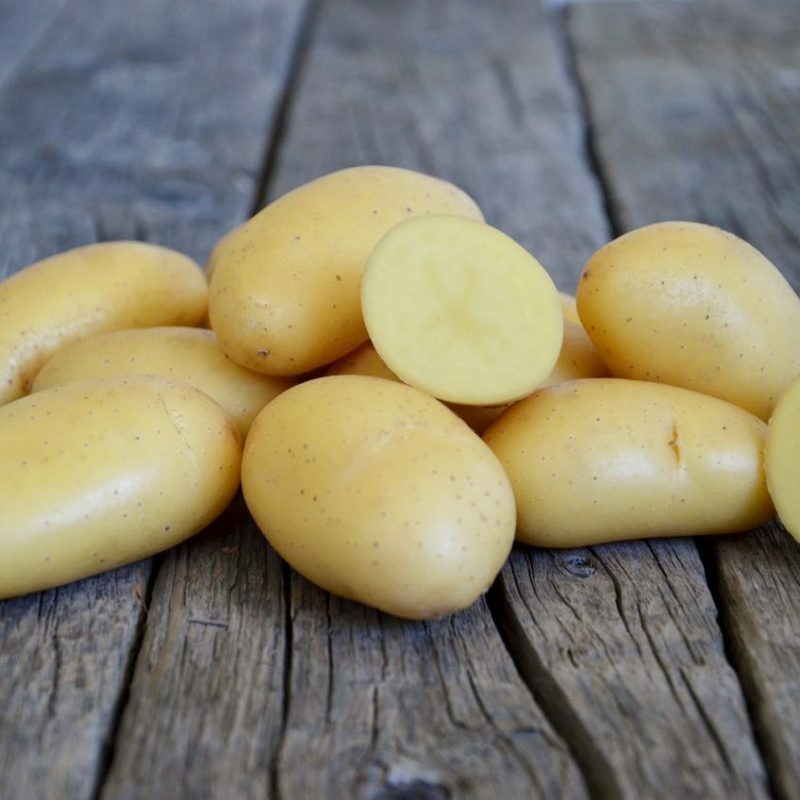 This variety is perfect for producing smaller elongated potatoes. It works extremely well in containers of all sizes and also does great in gardens and raised beds. Space 20-25 cm (8″-10”) apart. 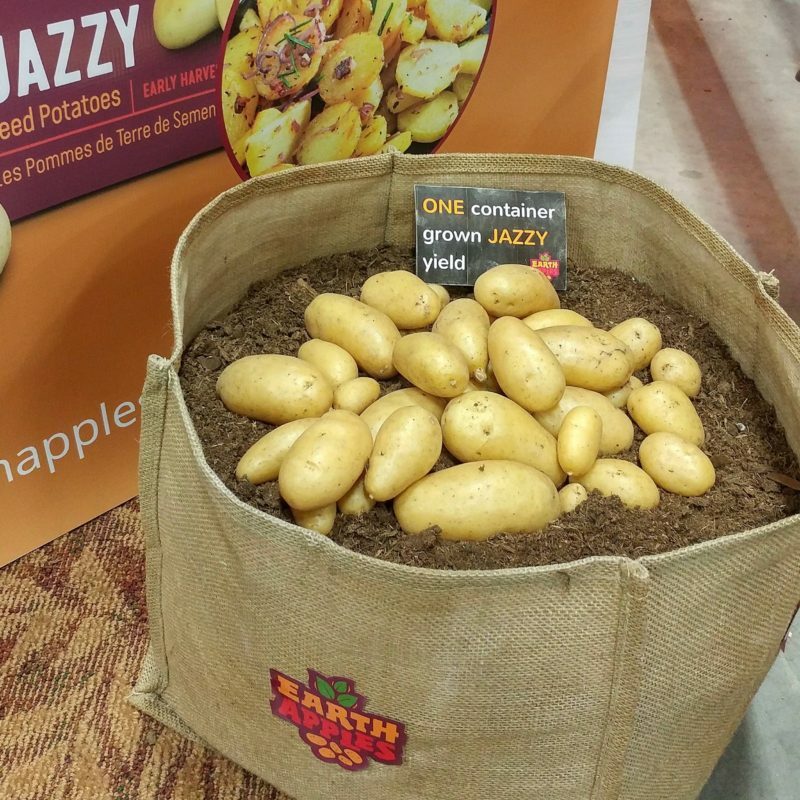 Jazzy is very easy to grow and recommended for first time growers as it grows well in most conditions. 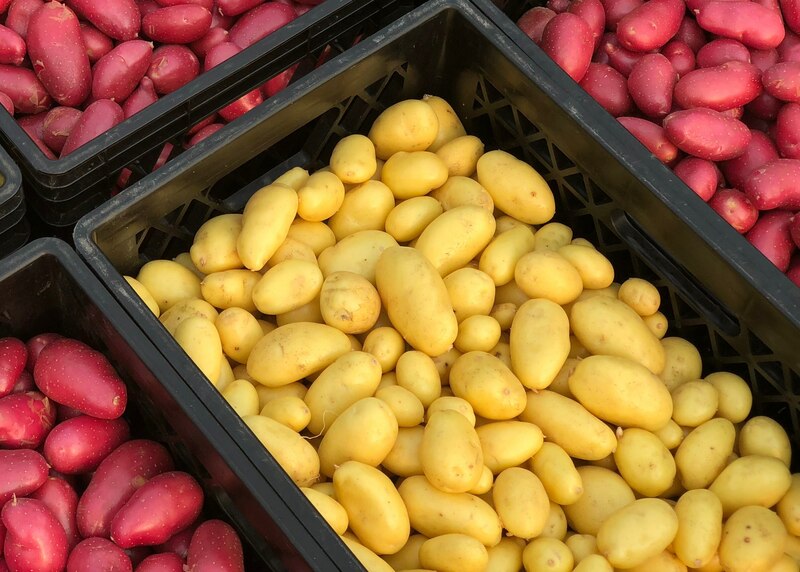 Jazzy is a convenient and versatile variety. It has thin smooth skin that is easy to wash and does not require peeling. 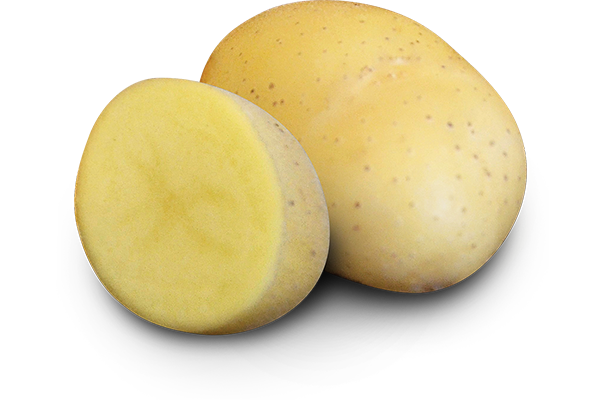 Jazzy has a very appealing moist waxy texture making it very suitable for oven roasting, boiling and for gourmet home-made potato salads. 4 months at 6 degrees Celsius.